Kalimantan has many rainforests and rivers. Unfortunately, illegal logging has destroyed a large part of the rainforest. The Borneo rainforest is the oldest rainforest in the world. It has 15,000 flowering plants and 3,000 different species of trees. 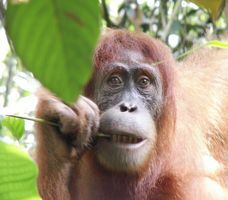 It is one of the only remaining natural habitats for the Bornean Orangutan. The Asian Elephant, Sumatran Rhinoceros, and Bornean Clouded Leopard also call this rainforest home. The equator runs through the middle of West Kalimantan. Dayak, Malay, and Chinese people make up 90% of the population. 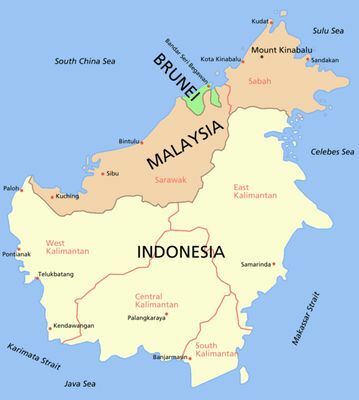 Malays are inherently Muslim, while the Dayak and the Chinese are Animistic or Christian. Central Kalimantan had one of the highest provincial growth rates in Indonesia from 1990-2000, growing 2.7% annually. It is the third largest Indonesian province by area. The whole province is 1.5 times the size of Java. Central Kalimantan is dependent on its forest to produce rattan, resin, and timber. The Dayak people live in this province (Wikipedia). 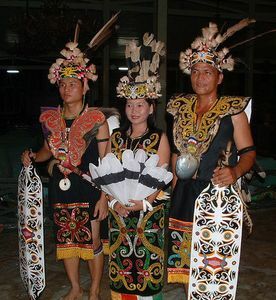 The term “Dayak” is used to describe several non-Muslim ethnic and linguistic groups (Joshua Project). The Banjar are the other major ethnic group in Kalimantan. They are very Muslim. Religion is their primary force in controlling crime. South Kalimantan is flat and swampy. This province also gets a lot of rain, with 120 rainy days a year. South Kalimantan’s exports grew by 27% in 2010. This was the biggest increase among all Indonesian provinces. South Kalimantan’s economy depends on forestry and coal. The Banjar people make up the majority of the population.